Jaya Bhattacharji Rose is an independent international publishing consultant based in New Delhi. Her blog has had over 4.6m visitors and continues to grow. 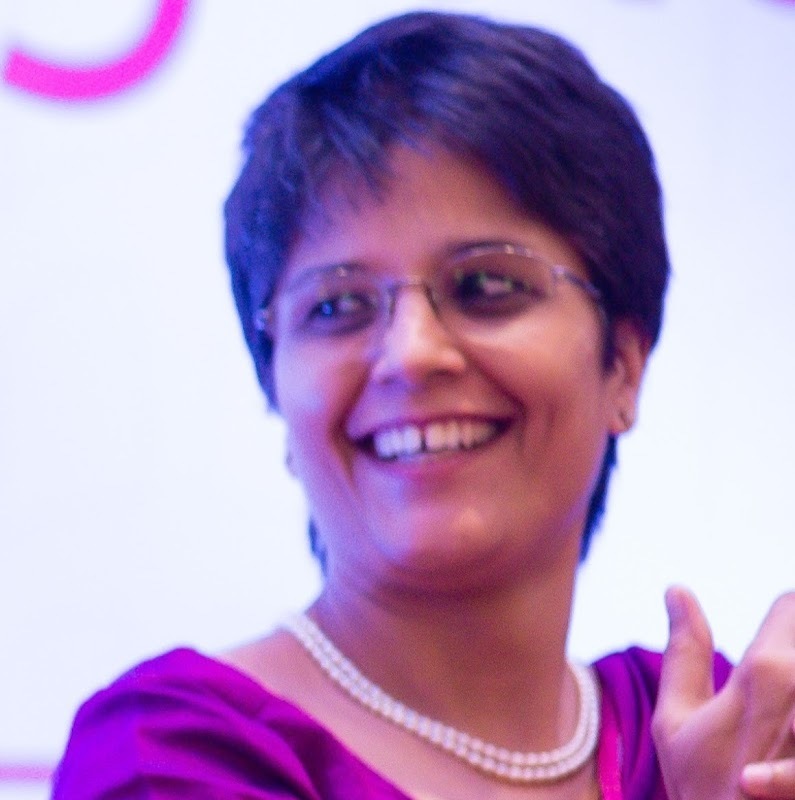 Jaya has written columns for BusinessWorld and the Hindu and her articles, interviews, comments and book reviews have also appeared in Frontline, The Book Review, DNA, Outlook The Guardian, BBC Radio, Radio France and The Independent. She has also been a judge for the Crossword Awards for Children Literature. Q: Some time back the Guardian ran a piece asking "Where are the new translated children's books?" Why do you think translation is a necessity, especially in children's book? Translation is very important to make literature available in its amazing variety and diversity for children. Recently, I was chairing a panel discussion at the launch of the Scholastic India KFRR report. The school children on the panel were discussing animatedly how much they enjoyed reading Tintin, Asterix and even Gopi Gain Bagha Bain by Upendra Kishore Roychowdhury. Yet they did not know they were reading translated literature. But as KFRR says "more than three-quarters of children (77%) believe reading books for fun is extremely or very important." If that is the key then introducing children to translated literature will also make them hopefully sensitive as adults to other communities and cultures too. Q: What are the biggest challenges for translators and translated works today? I think the challenges vary from project to project and region to region. Having worked on such projects in the past I would say that it would be translating as accurately as possible in the destination language without losing the cultural connotation and relevance. It is not always easy to find the equivalent word for the language of origin into the language of destination. A good example of this is "Apple, Bear, Pear" by Emily Gravett is a lovely simple picture book that won the Kate Greenaway medal. Immediately there were translation offers. It is a play on English words using the comma as evident in the title but in a European translation it became a lengthy line that even messed up the layout. But much of this is going to change rapidly and will be reduced to mere academic discourse. If you have been monitoring the news recently you would have heard of Google's Neural Machine Translation ( GNMT). This technology is going to change the game of translations in publishing just as the recent announcement by Amazon India to launch Kindle in multiple Indian languages. Once technology comes into play and moves from being a culturally sophisticated skill to a functional skill the market will explode and new unforseen and unheard of challenges will emerge, most of which I hope will be moving in the positive direction. Q. Following from the above question, while we do have stories being translated from English to other languages for children, is enough being done in reverse? How many original language books are being translated to English? This really depends on the availability of funds and human resources (skilled translators,editors, designers, illustrators, production teams). English is a powerful language and has funds available since it is a language of social aspiration, legal engagement and finance. So it is relatively easier to make literature available from it for translation into other languages. It is certainly not easy to assess how many "original language books" are being translated into English. This kind of a database does not exist in India. Remember much of the literature published in India is self-published so details are not easily available. Q: While there are somewhere around six or seven thousand languages on Earth today, about half of them have fewer than about 3,000 speakers and experts have predicted that even in a conservative scenario, about half of today's languages will become extinct within the next fifty to one hundred years. What, in your opinion, does a death of a language imply? The moment there are no more younger speakers left and no literature available in a language it is the death knell. Language is always living and evolving. No language cannot be allowed to die. And this is possible by according respect to one's language and culture by introducing children to these languages and scripts via books, storycards etc. The marvellous work you do with StoryWeaver is a brilliant start. Q. There is a huge demand/need being expressed to learn English these days, often at the cost of one's own mother tongue. What will the effect of this be on multilingual publishing and what can be done as an antidote? As I mentioned in the previous answer, English is the language of commerce, legalese and finance. So it has a clout like no other language in today's world. The effect on multilingual publishing will that there will be minimal resources available and yet this very same diversity will be appreciated. Q.You once mentioned how few inclusive spaces there were for children's books... what does it mean for a space (digital or otherwise) to be inclusive ? To be 'truly' inclusive is once again challenging. Pratham Books is doing a very good job by being inclusive in terms of the number of languages you are creating books in, inclusive by keeping your books affordable and inclusive by addressing different aspects. I’ve written about ‘Literature and Inclusiveness’ on my blog. Q. Tell us about your childhood reads? Oh my goodness! This is tough. I read everything that came my way. My mother told us stories including of the books she was teaching. So we were introduced to Shakespeare when we were small. But then there was much, much more. As I grew older I inherited libraries. So childhood reads would include a lot of English literature. Q: Looking back, what else would you wanted to read but couldn’t because of the language barrier? I am not very sure since I only read English and Hindi. I cannot possibly regret not knowing languages. If a good translation exists so be it. Thank you Jaya for taking the time to answer our questions. You can following Jaya on Twitter here. Ps. StoryWeaver had a twitter chat with Jaya in early December about books, translations and reading. If you missed it, you can read all the tweets here.